The end of a relationship can be one of the most stressful times in a person’s life. For many individuals, starting over means moving. Whether it be for a new job, to live closer to family, or simply in the name of a new beginning, relocation is fairly common after a relationship has ended. Unfortunately, when children are involved, relocation presents some challenges. Moving to a new neighborhood within the same city is typically not a problem; however, when looking to leave the area or move to a new state, child custody laws come into play. Whether you are the primary custodial parent or not, where you live has an enormous impact on your child. Moving away from mom or dad can take its toll and must not be taken lightly. If you are considering relocation and wondering how it will affect your child custody arrangements, ask yourself the following questions to minimize stress on the entire family. Have custody arrangements been finalized? This has a huge impact on your ability to plan for relocation. If you have not yet finalized custody arrangements and wish to move with your children, you must carefully consider the short- and long-term effects of relocation and present your case for their best interests. If custody has already been finalized, your move may require a rewrite of your custody agreements. If you are not going far, chances are your custody agreements can remain relatively the same. However, a move that impacts regular visitation with the non-custodial parent must be agreed to in writing. Such a move may also have to be approved in court, depending on prior arrangements. It’s important to self examine while making decisions about a move. Before you even bring the possibility up to your former spouse or partner, ask yourself why relocation is the best decision for you and for your children. What opportunities are available for the children in this new location, and how can you ensure visitation with the other parent will remain meaningful? If you are the non-custodial parent, how will you make it a priority to keep relationships with your children as healthy as possible? It’s important to know that you may have given up certain rights — relocation being one of them. Parents with custody agreements in place cannot pick up and move without taking the proper steps. 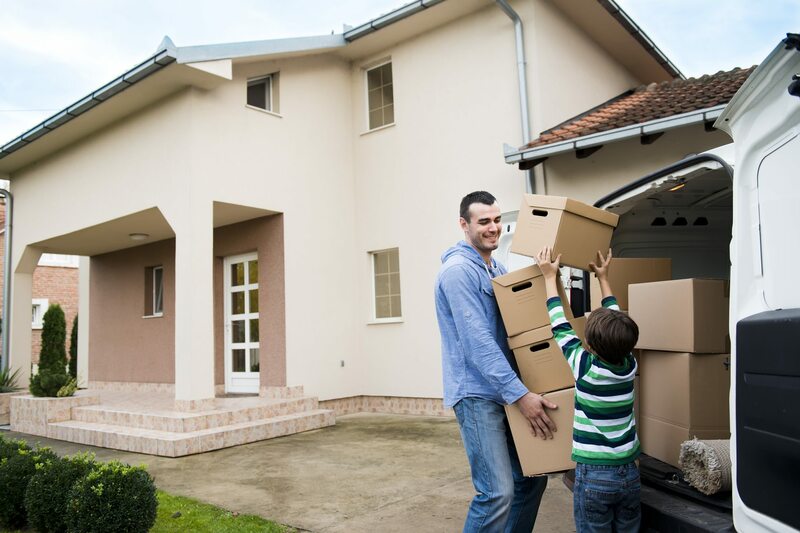 If you feel your former partner is planning to move with your children and you wish to oppose this action, you may take measures to prevent this. An experienced family law attorney can inform you of your rights and smart steps to take. Questions About Moving After a Divorce? Whether you’re considering moving or have questions about the expressed plans of your child’s other parent, speaking with a family law attorney can alleviate some of the worry. We can make sure you are informed of your rights and prepared to make a decision that will not only be in your best interest, but in the best interest of your children. Contact us for more information today.